This next accessory comes to us at the greatest opportunity, Consumer Electronics Show, a conventional floor that is known to drain a battery mysteriously fast. Snow Lizard has provided me with their pocket sized portable power pack which is toting 2400 mAh of power to recharge a phone or tablet via the single USB output. 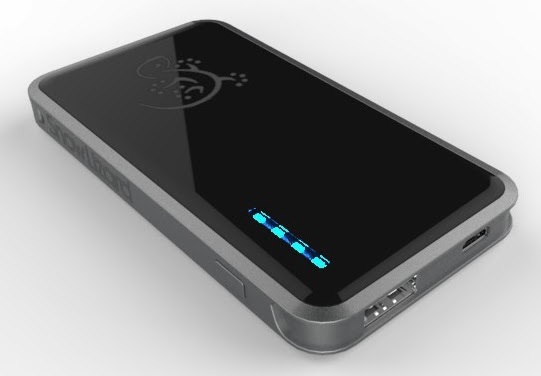 The battery pack is just smaller than most smartphones out there and there is an LED indicator on the front to indicate when to recharge. It is time to see how it held up on the battery sucking show floor. Unlike a lot of battery packs that come in a variety of shapes and bulky not friendly to pocket sizes, the SLPower is close to the size of my phone so when both are in my pocket it does not add much bulk and provided more power than power cases. The amount of power was enough for quick boosts to my battery on the show floor to provide a substantial charge to get back to my room and recharge. The little battery pack did this for three days before it was time to recharge, and the 4 LED’s on the front make it easy to determine when to charge, unlike having to memorize certain colors or flashing patterns to know how much charge is remaining. 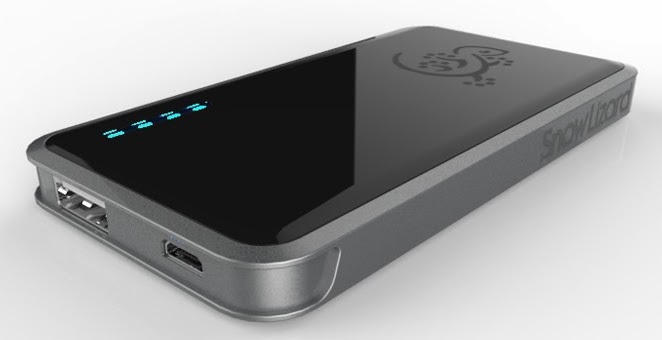 The size of the SLPower 2.4 is my favorite feature as it is easy to charge and carry without discomfort or taking up a lot of space in my laptop bag. The awkward part is stuffing a full length cable in my pocket but the purchase of a short lightning cable would resolve this. The ability to charge either phone, tablet, or even my point and click digital camera were a lifesaver at two separate occasions. Snow Lizard’s SLPower 2.4 is available now for the price of $39.99.